a 7 week course. Every Tuesday evening from 7.00 to 9.00 pm. This course will give students an introduction to the following paper and printing related subjects: How to select and prepare the correct type of paper to use to make a paper-mache bowl. How to select and prepare the correct type of paper to recycle into handmade paper and what can be added to the paper. How to use silk fibres and paste to make sheets of silk paper. How to prepare and assemble pages and make a cover to create a simple book. How to make and use a simple printing block. How to use everyday objects e.g. feathers, leaves, cardboard tubes etc. to print with. How to make and use stencils. 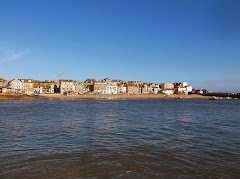 Cost for the full 7 weeks is just £54.00. Concessions and free places are available for eligible students. If you are interested in this course please book! If there are not enough people it will not run - you can't just turn up. 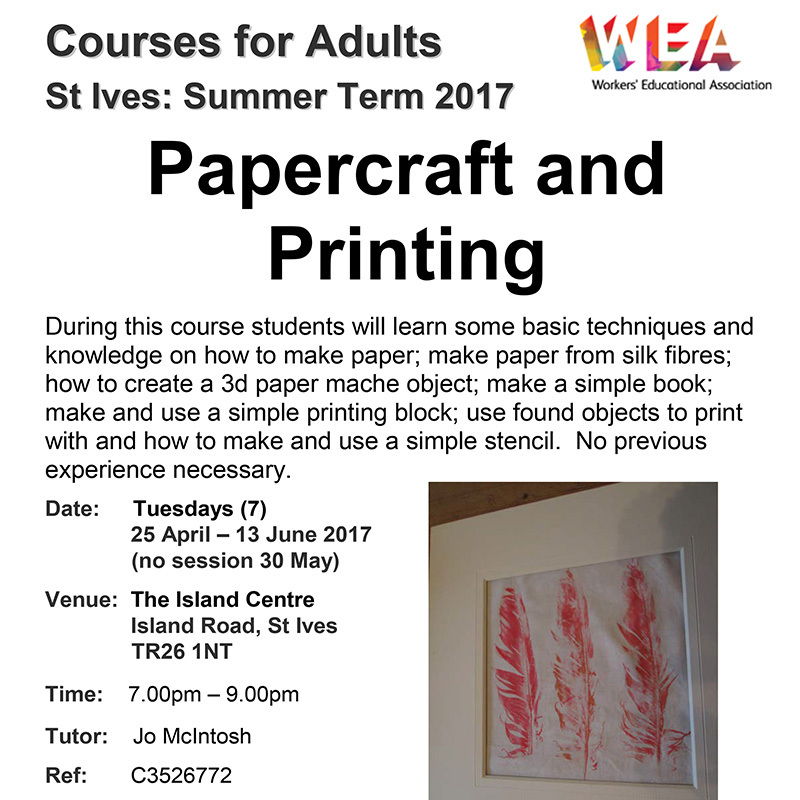 WEA are planning to run more courses in St Ives - as part of the new education hub at St Ives Library. More info here in due course as details are confirmed.